One about to be published this year. The writing is gorgeous and the story captivating. I´m half-way through the story and have a hard time putting it down. I have the feeling I´ve been revising for months. Oh, wait. I have 🙂 My goal is to finish revising in January but this new twist I introduced requires major rewriting. I really think it´s making my story much stronger, so I need to power through! Here´s a little bit I´m not sure I´ll keep but which gives a bit more insight into Erin´s past. My shoulders slouch. I remember how everything changed after I testified. The way my best friend Summer was no longer allowed to play with me. We had promised to be BFFs and Summer snuck around to meet me but when her parents found out, she got into so much trouble that she stopped talking to me. One morning, some kids threw chewing gum in my hair and they taunted Summer to do it too. Tears sprung to her eyes but she did take the bubblegum from her mouth and in one swift movement it landed in my ponytail. I sobbed in the corner after class, trying to get the bits out with the help of the teacher who apologized over and over again for not seeing anything. Summer passed by me without saying a word. Mama had to cut my hair super short that night. I don’t want that for my little brother. I spent the holiday season at home in France and at my in-laws in the south of Germany, enjoying family time and celebrating my husband´s birthday. For Christmas, I received my first slow cooker and I have been enjoying some yummy meals out of it. My word for 2014: Balance. ski ds le jura, tour des balkans en juillet(à déterminer), une escapade dans “ma petite école de Skopje” en juin, les cours d’anglais à l’école, voilà qques uns des projets pour 2014 et bien sûr le quotidien avec son lot d’imprévus… Bonne journée à tout le monde. The revisions on my WIP are taking longer than it took me to write the first draft, so I know what you mean! I’m hoping to be finished round 1 of revisions soon, though–and subsequent revisions shouldn’t take as long. The last line of your snippet really gets to my heart! I use my slow cooker constantly – in the winter it’s great for comfort food and in the summer it keeps me from having to turn the oven on. I use my slow cooker at least once a week — love it! Hope you’ve found some tasty recipes to try. Can I tell you how envious I am that you’re reading WE WERE LIARS. I have heard nothing but amazing things about that book. Best of luck with your revisions, Elodie! I loved that snippet! Best of luck on you revisions. Balance is a great goal! Slow cookers are basically amazing. Amazing! So glad you’re enjoying yours! Balance is a great word for the year…it’s something I struggle with personally as well. Good luck with the revisions! I love your excerpt! I’m totally curious now and want to read the rest of the book, so great job. I think I already said it on the other post, but I love your word for 2014! Slow cookers are the best. I really need to make better use of mine! We just got a new one this holiday season as well. I like the snippet you shared. 🙂 It’s a great snapshot into what Erin went through when everything went down with her dad and the scars it left behind. I hope the revisions are going well. I owe you an email. (*makes note to do that ASAP*). Have a wonderful week, Elodie! I didn’t know you lived in France. How very cool 🙂 I looove slow cookers. They make magic. Balance is a fantastic word. Who are you? I want to know you! That is gorgeous writing, and you live in France? Where? I lived in France for a bit, and miss it so much that I just decorated my house to look like it’s France. haha, lame. But seriously, lets be bffs. oooh, i’ll have to add we were liar to my tbr pile. that excerpt has been all kinds of intrigued and feeling feelings! Good luck with revisions, and post more excerpts! Balance is such an important thing but hard to achieve sometimes. Good luck with your revisions! I’m about to get started on mine. Good luck with your month of edits. Thanks 🙂 Hope you had a great weekend! Your holidays sound blissful! I got to spend some time in Southern France last year and it was glorious. You cannot get bread like that in the States. It’s sooooo good. Good luck on powering through your revisions. Hope you have a fantastic week! Thank you so much Kris! Glad you enjoyed my excerpt 🙂 Hmmmm bread! 🙂 I live in Germany and even there you can�t get that yummy bread…. Hope you had a wonderful weekend. 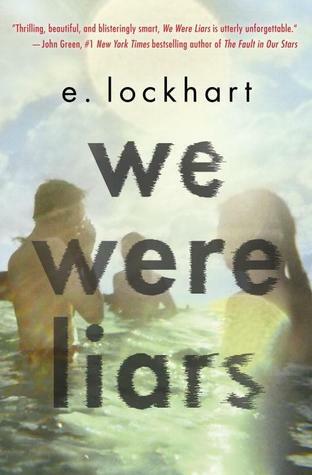 I have an e-ARC of WE WERE LIARS and I am so tempted to start it this second because of all the amazing things I’m hearing about it. But I really need to finish the book I’m reading first, gah. This reading slump just won’t go away! Balance is a great word for 2014! It’s always a struggle, but so, so needed. Thanks Kim, glad you enjoyed it! Balance is definitely tough but a good word to remind myself of when it all becomes a bit crazy busy. Balance is actually a big part of my 2014 goals. 🙂 I’m trying to balance, writing, editing, and marketing. We’ll see how I do. 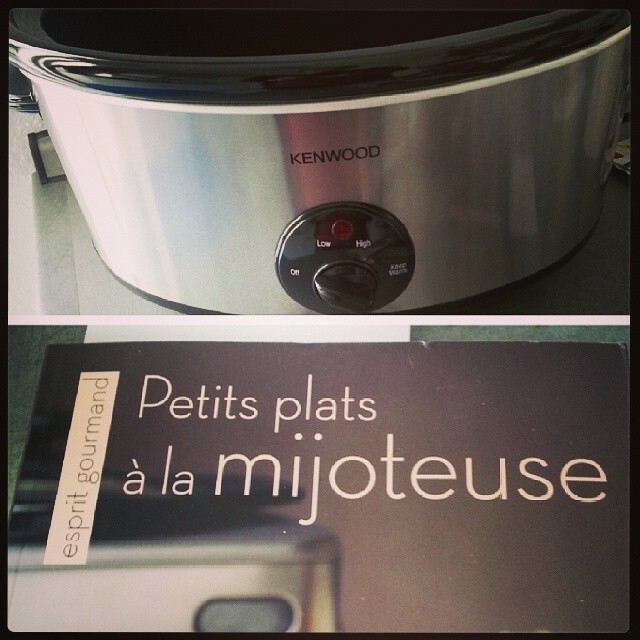 My slow cooker might be my most favorite kitchen appliance! There’s nothing like coming home and dinner is all ready. That snippet of your WIP is wonderful. Good luck as you plow ahead! Love the excerpt. I can’t wait to read We Were Liars. Have a great weekend! Thanks Amy 🙂 Glad you enjoyed it and hope you had a wonderful weekend! So envious that you’re reading WE WERE LIARS! I’m really looking forward to that one. Best of luck with your revisions. Yes, they do take quite some time. But it is so worth it. The snippet you revealed was deep. It made me feel for your MC. Share more! I loved your snippet from your book! I could really feel the pain in that memory. Good job! And your Christmas in France and Germany way blows anything I did out of the water. The ultimate Christmas!